ReCrochetions: Tour Tuesday: Yarn Crawl 101 this Weekend! Tour Tuesday: Yarn Crawl 101 this Weekend! First, I have to tell you about the newest Yarn Crawl to hit the Pacific Northwest! What's a yarn crawl you say? Just an excuse to visit every yarn store in a certain area, check out new shops and yarns you may not have seen before, and get to know other crocheters and knitters along the way. You can hit every store on the list or just a few. For Yarn Crawl 101, each shop you visit will enter you for a chance to win a raffle basket (including 50% off any of my patterns on Ravelry). But if you visit EVERY shop, you will be entered for the grand prize basket (including signed copies of BOTH my books!). This new Yarn Crawl will hit 14 yarn shops from Ocean Park, WA to Brookings, OR in 3 days! 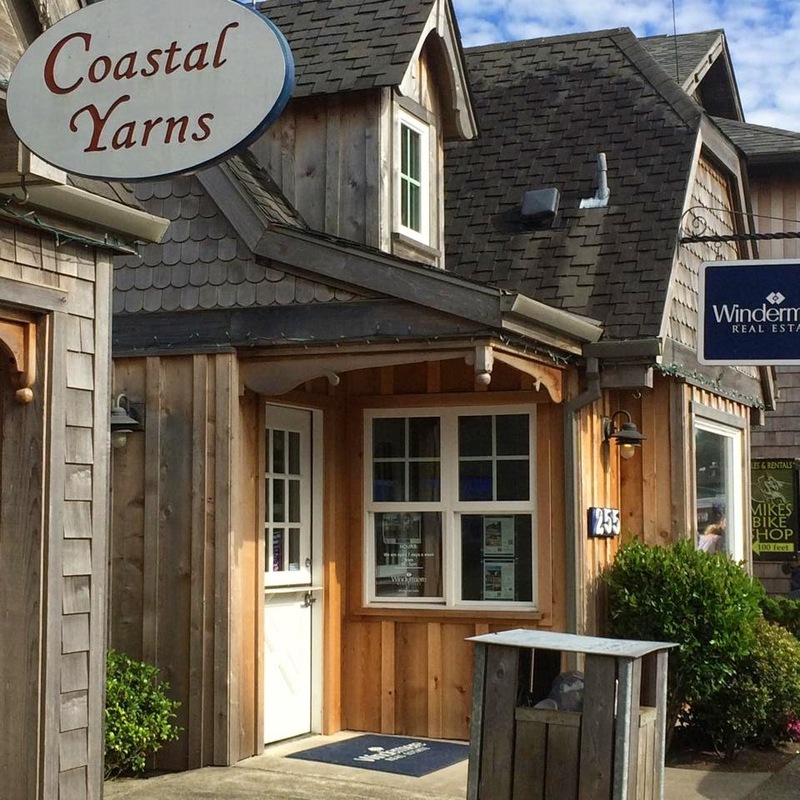 Next weekend, I will be taking part in Yarn Crawl 101 by doing a Trunk Show and Book Signing at Coastal Yarns in Cannon Beach, OR. Drop in and see me anytime on Saturday, September 13th between 2pm and 6pm. I actually did my own mini yarn crawl last summer, driving up Highway 101 from camping on the Coast. So I have visited many of these shops, and had a delightful chat with the owner of Coastal Yarns, who crochets as well as knits. It is a cute little shop on the main road through Cannon Beach. Parking can be at a premium, but there is a parking lot and street parking behind the building. I will also be doing another Trunk Show at La Favorites in Kelso, WA this coming Sunday. I will have all 10 blanket samples and books to be signed between 10am and 4pm. This is also where the local Crochet Guild of America group meets, so you can find out more about the CGOA! Oh my goodness, how did I not know about this! 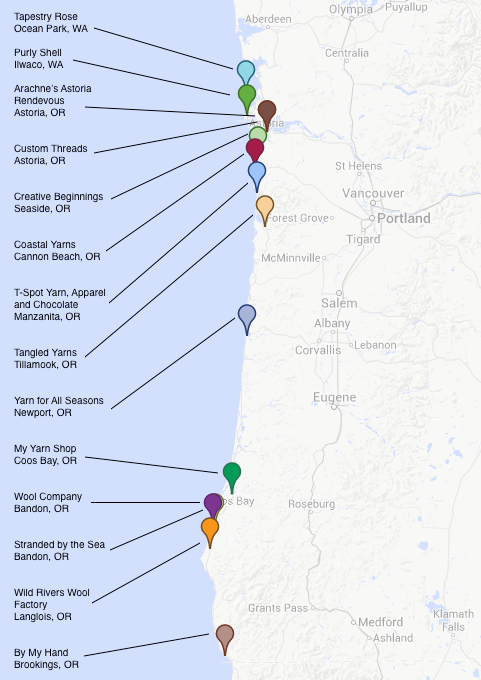 I have thought about doing my own yarn crawl down the Oregon coast, but haven't yet. Must.Do.This!